At last, she was coming back to where she belonged. 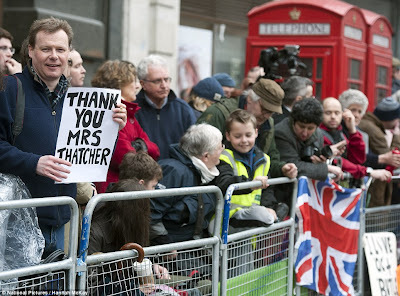 Through busy streets, past some of the landmarks of her time in office, Baroness Thatcher was returned to Parliament yesterday, scene of some of her greatest triumphs. After so long out of the public eye, the former prime minister was allowed to take centre stage again on this, the first leg of her final journey. 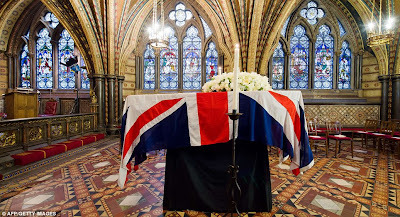 There were no military bands, no massed crowds lining the streets, and none of the pomp and ceremony that will accompany her funeral today. 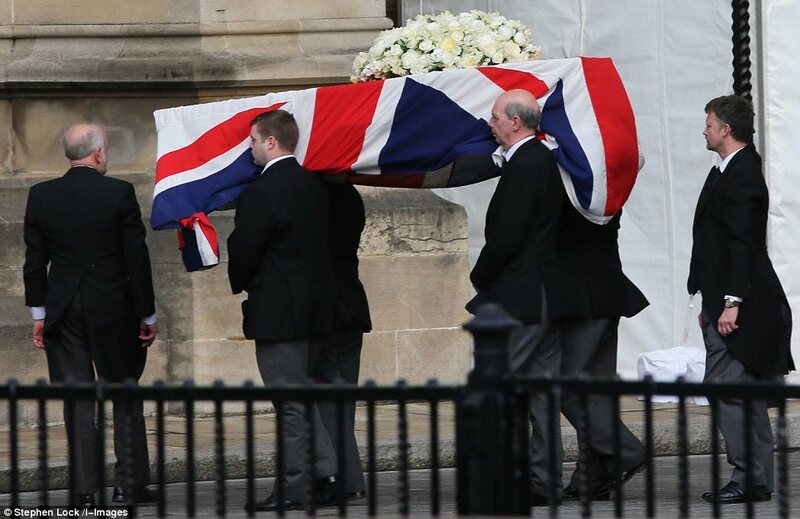 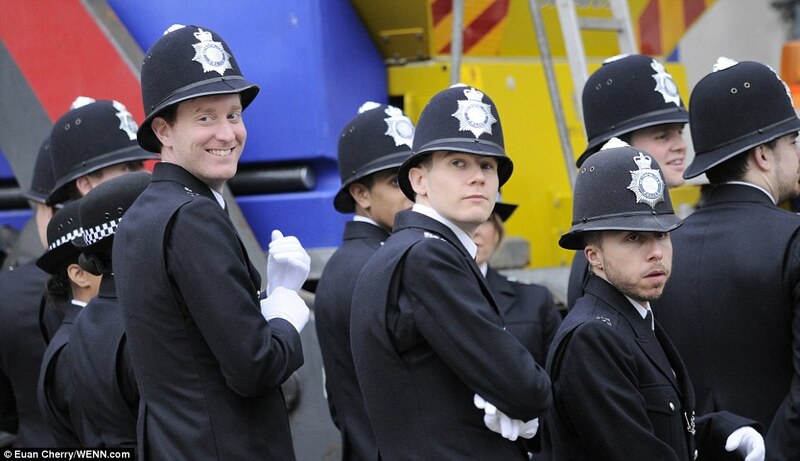 Baroness Thatcher's coffin has been carried out of Parliament, as Britain's greatest peacetime prime minister started her final journey to St Paul's. 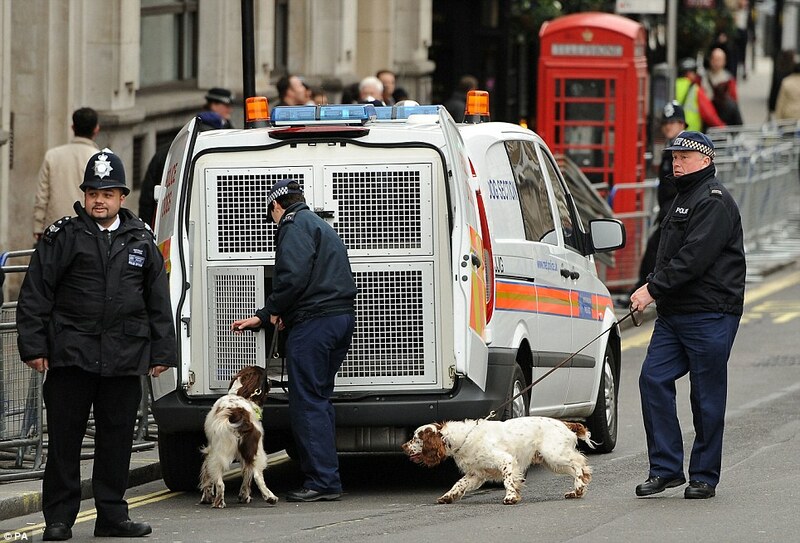 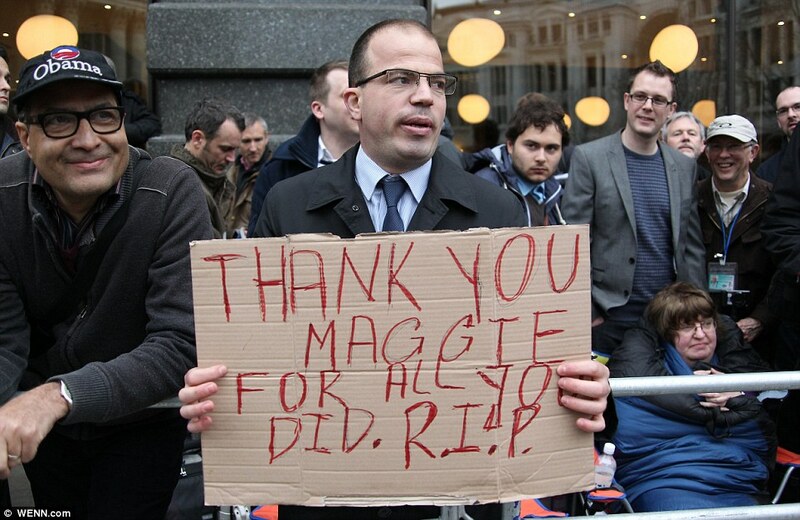 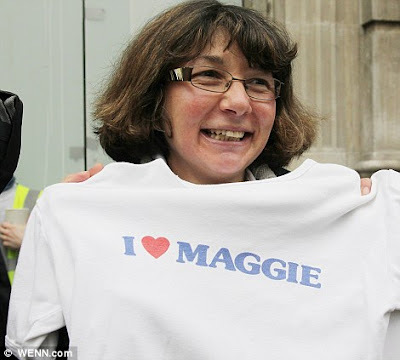 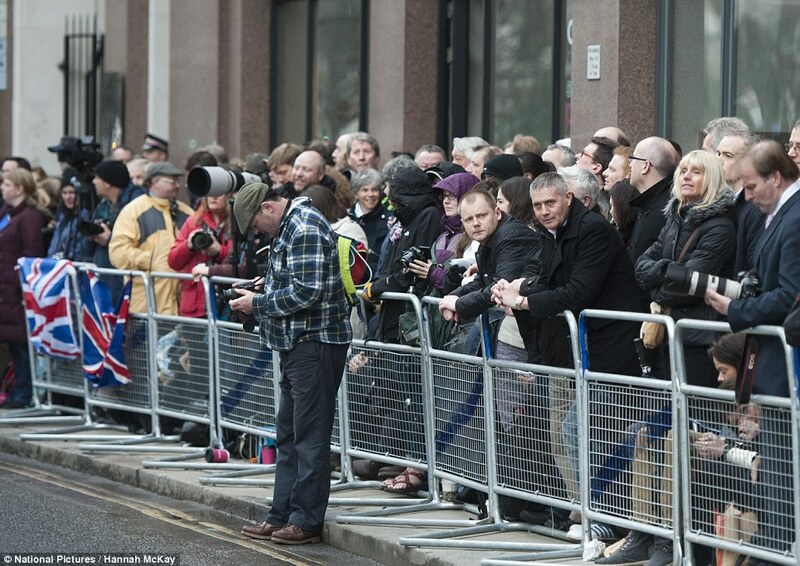 Supporters of Baroness Thatcher were lining the streets of London in their hundreds this morning, with some camping out overnight to get the best views of her funeral procession. 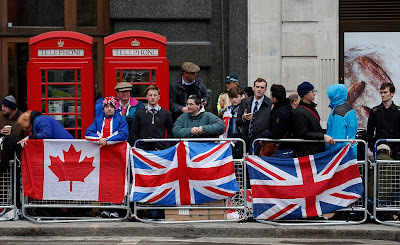 Crowds gathered outside St Paul's Cathedral in the light drizzle amid a sea of Union flags to discuss the former prime minister's legacy and await the arrival of her coffin. 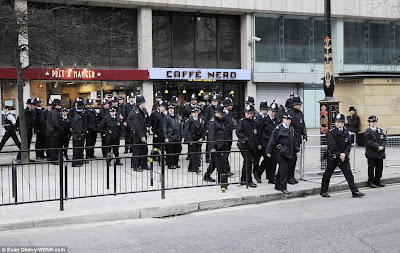 Many of those gathered on the pavements were dressed in sombre colours for the occasion while some erected stools and chairs at the foot of the monument and warmed their hands on steaming cups of coffee. 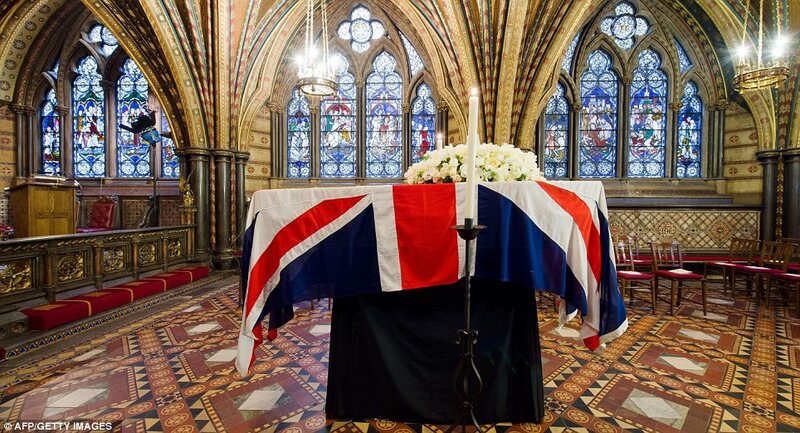 As a mark of respect all Union flags and the national flags of the UK were lowered to half-mast at buildings she will pass. 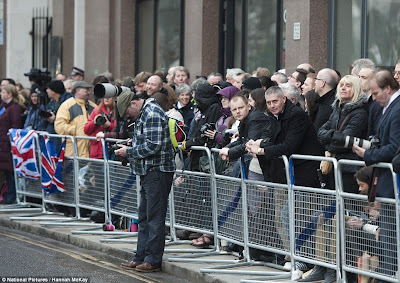 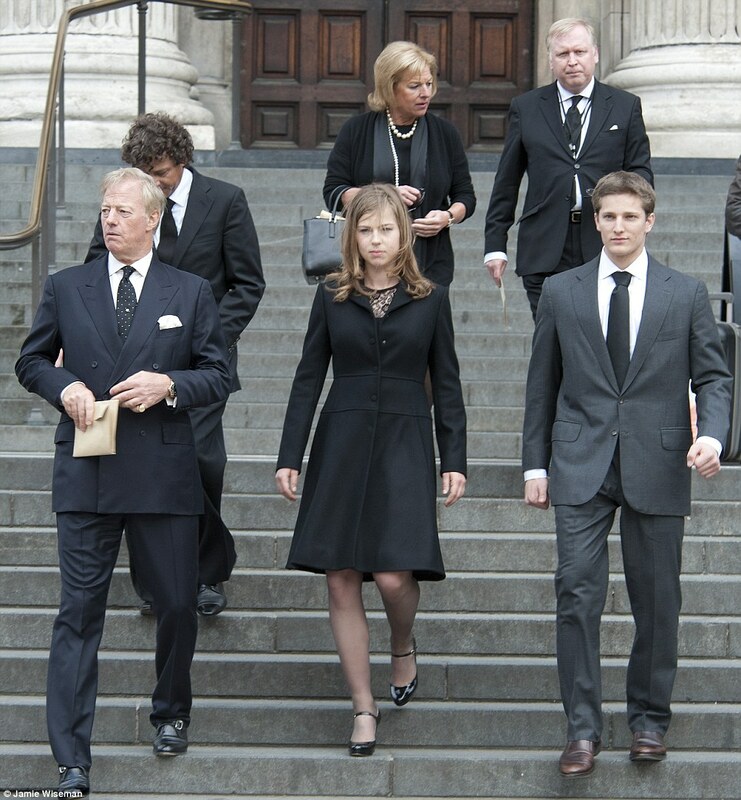 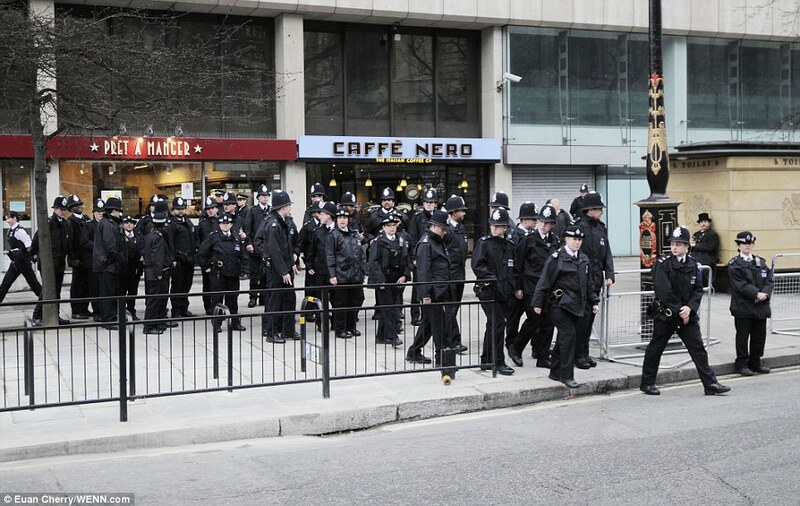 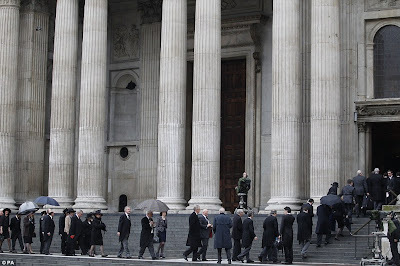 Meanwhile dignitaries queued as the doors to St Paul's opened this morning as they waited to be seated for the funeral.